바라란 절에서 종교적으로 사용되거나 춤을 출 때 사용하는 타악기이다. 냄비 뚜껑같이 생긴 두 개의 얇고 둥근 놋쇠판으로 만들며, 놋쇠판 중앙의 볼록하게 솟은 부분에 구멍을 뚫고, 끈을 꿰어 그것을 양손에 하나씩 잡고 서로 부딪혀서 소리를 낸다. 이 바라는 지름 92㎝로 크기가 크며, 제작 방법이 우수하다. 국내에서 제일 큰 바라로 외곽의 일부가 약간의 파손이 있을 뿐 손상이 거의없이 내려왔다. 이 바라에는 효령대군이 세종과 왕비, 왕세자의 복(福)을 빌기 위하여 만들었다는 명문이 남아있다. 크기로 보아 직접 들고 치기보다는 어느 곳에 매달아 사용했을 것으로 보인다. 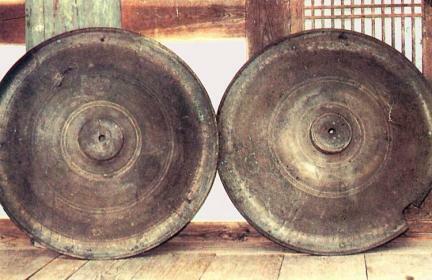 These bronze cymbals were called bara in Korean and were used as percussion instrument for religious ceremony and dance in Buddhist temples. 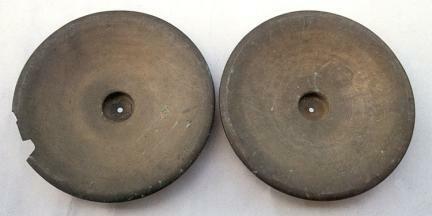 This pair is made with a pair of thin, round brass panels resembling a pot lid. A string is threaded into a hole made on the protruding area at the center of the brass panel. A pair of panels is held by both hands, one each, and banged together to create the sound. 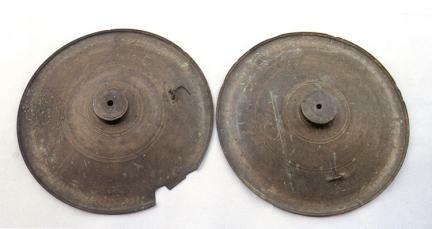 With diameter of 92 cm, these are the largest ancient cymbals remaining in Korea. They were produced with excellent technique and were preserved in good condition with practically not a single scratch. They bear an inscription stating that they were made at the order of Prince Hyoryeong to pray for his brother King Sejong, the queen, and the crown prince. The huge size indicates that these cymbals were not meant to be played by a person while holding them by the hands but by hanging them somewhere.